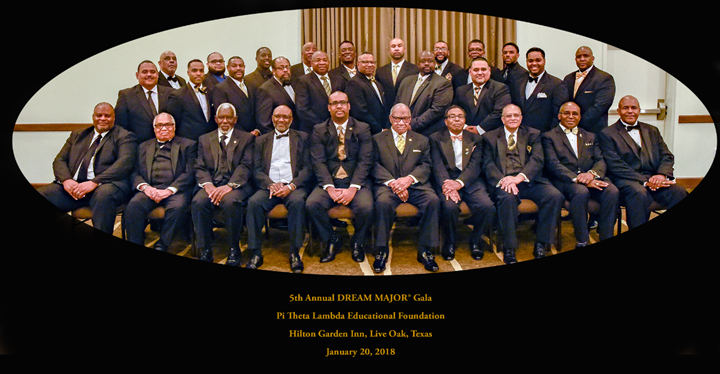 On Saturday, January 20, 2018, the Pi Theta Lambda Educational Foundation, Inc. (PTLEF) sponsored the Fifth Annual DREAM MAJOR © Gala at the Hilton Garden Inn San Antonio-Live Oak Conference Center. The keynote speaker was Dr. Darron Turner, Chief Inclusion Officer and Title IX Coordinator at Texas Christian University. The formal evening was a fundraiser benefiting the scholarship fund of the Pi Theta Lambda Educational Foundation, Inc. The event’s proceeds supported the City of San Antonio MLK Scholarship Fund, as well as, FIVE (5) PTLEF DREAM MAJOR © Scholarships which were awarded June 30, 2018. One of the five 2017 DREAM MAJOR © Scholarship recipients was in attendance, and provided a presentation and offered his gratitude for the support of the community and PTLEF.